Since a bit of time I needed a replacement for my laptop. My iPod Touch (since then replaced by a contract-less iPhone acting as an iPod but with a good enough camera *and* GPS) has taken over most of my content consumption needs. I read my books on it, browse Google Reader, grab my InstaPaper articles. What I still needed was something to create content on. Something to write on. Nothing fancy. No games need to be played on it and any heavy-lifiting SEO audits I do, I do from my desktop PC. I wanted something cheap. 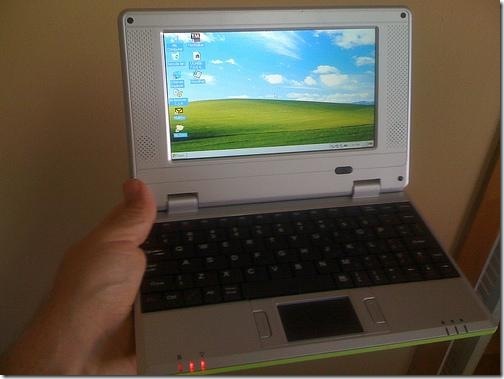 A $250 netbook is cheap but it’s too close to a $350-$400 full fledged laptop. Plus, $250 is $250. Looking on eBay for second hand laptops or netbooks under 100-150 dollar I came across the cutest looking machines. They are called SmartBooks. They’re mostly brandless. They run on Windows CE. It’s like Windows Mobile on a PocketPC or a Windows Smartphone — but different. And… they’re around 100 dollar. Amazing! Inside they have an ARM processor with a speed of around 300Mhz: the speed of a PC about 10 years ago. Memory for most models is 128MB. 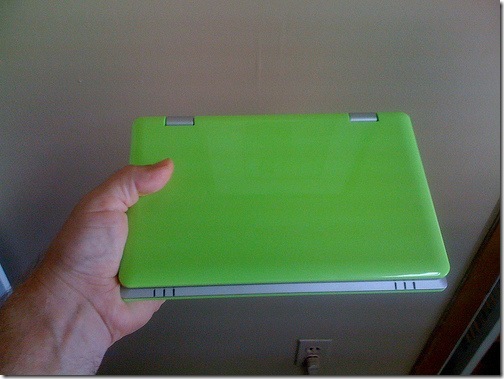 Inside of that it has enough to run WindowsCE and your programs. Also: a 2GB Flash drive, WiFi, 3 USB ports, 1 SDHC slot (read-only), LAN connection, audio/mic sockets, and tiny speakers in the screen. A flat but real keyboard about 8 inch / 22 cm wide. Touchpad for mouse with click buttons next to it to keep the form factor small. Some models now have them under it. The weight is so crazy little I can hold it open between the fingers of one hand the way you would hold a pocket book — and realize it’s lighter than a pocket book. It has a 1 cell battery which is good for about 2 hours. I love it as it is great to write with. Easy to carry and bring along. What the Kindle dedicated device ebook reader is to books, this type of device is to WordPad writing. Cool toy, Andy :) But like you I wonder what it will make from my writing. *I* have trouble figuring out what I wrote after reading it back a week or so later! Really quite pleased with my smart book thingie though. I do a lot of post writing on it and enjoy it. Boot is so fast too! I have something very similar, Ruud. 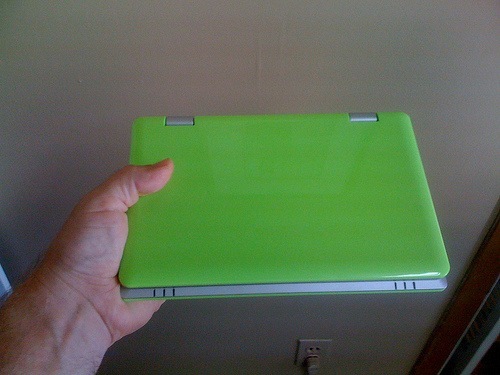 It’s one of the first generation Asus EEE netbooks. And I bought it off of someone for $150. It’s great for traveling and really does everything that I need it to. I haven’t used it much recently, but it was so small and cheap I figured I might as well hold on to it in case I ever need to use it again! good to see this post. AIm having trouble hooking up to my wifi connection with mine. can you help? Hi rudd thanks for the great post, that note book is truley awsome I think I will get one for my wife she will love it!